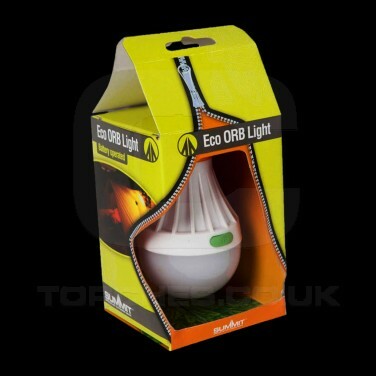 A handy light designed with camping in mind, the Eco Orb Tent Light is a battery operated bulb that can hang in your tent or around your campsite to give up to four hours of continuous light from one set of batteries. A caribiner clip allows you to hook the light onto a hook or slimline branch, or even your backpack, and it's glow in the dark switch means that you'll even find your light in the dark! 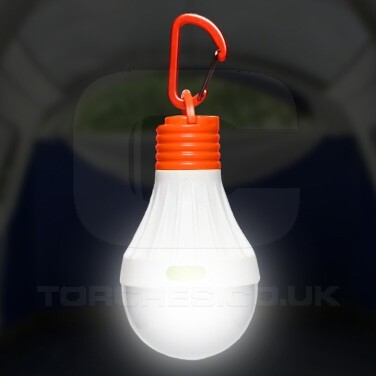 With four cool functions, you can choose the intensity of light that shines into your tent from a soft night light to a much brighter utility light. Perfect!